Jack C. Edwards, a Silent Era infant and toddler actor, died July 16 in Florida, surrounded by family. As a baby, he appeared in several (or up to several dozen) films, often uncredited. His first known appearance was in the 1921 short I Do with a pre-famous Harold Lloyd (1893-1971), and his most memorable screen gig was playing Lloyd's character as a baby in Grandma's Boy (1922), the film that established Lloyd as a star. Harold and his wife, liked to cuddle me a lot. They became very close to my family; it was actually Harold who noticed my first baby tooth! He also appeared in So This Is Marriage? (1924), a Hobart Henley (1887-1964)-directed silent starring Conrad Nagel (1897-1970), Eleanor Boardman (1898-1991), Lew Cody (1994-1934), and Warner Oland (1879-1938). That film survived until 1965, when the last known copy was destroyed in the catastrophic MGM blaze. 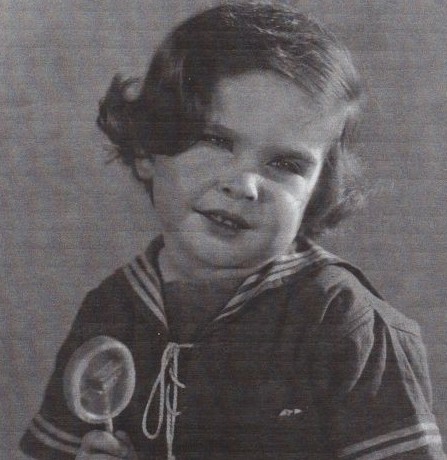 In all Edwards is known to have made his mark in 10 films, including two in 1940, years after he mostly retired by age 4. Back home in Florida, Edwards went on to serve in the Marines receiving the Purple Heart for his service in WWII. He later became a teacher.